Augmented Planet on why mobile augmented reality is much like Marmite. Tish Shute gave a very short talk on AR and twitter in the 140conf. Inglobe Technologies, the guys behind the augmented reality plugin to Google's sketchup, created an AR plugin to Autocad. And mark your calendars, HIT Lab NZ holds an open house this riday. 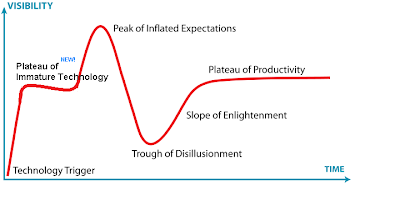 Think what a single hype cycle for "video" would look like. Then consider TV, online video, outdoor billboards, mobile phone displays, that is to say -- moving images are a very big idea. Different implementations are adopted in different ways at different rates… AR is also a very big idea that has many manifestations. And this week's video is a commercial to augmented reality head up display called the "Stark HUD". Unfortunately you will not be able them anytime soon, since they are part of an elaborated campaign promoting the release of "Iron Man 2", which also includes a web application that lets you try on iron man's mask. that's it for now, have a great week! Swiss augmented reality company kooaba and ETH Zurich have joined forces to create a rather impressive augmented reality browser prototype, which I'll refer to as the Koo (since it lacks any official name). Unlike existing browsers out there, the Koo doesn't rely on GPS and compass readings to decide what's in front of it, but rather on image recognition techniques. Head over to kooaba's site to read more about the Koo and to see another video of it in work. For me, this week's highlight was seeing Natal demoed live (cool!) and some more advanced features Microsoft is pushing into Photosynth (even cooler!). The most exciting bit of news came from Google this week - they plan to open up Goggles for third party developers. It would be interesting to see what that entails. Which reminds me that they also bought visual search startup Plink this week, which specializes in identifying artworks. Layar had some very exciting news on their own, announcing 1.5m downloads and 500 layers. Layar also posted about this interesting layer that virtually recreates the Berlin Wall. Directions Magazine on the trivialization of augmented reality and why AR should do more than helping you locate the closest starbucks. Have a good week and stay away from erupting volcanoes! 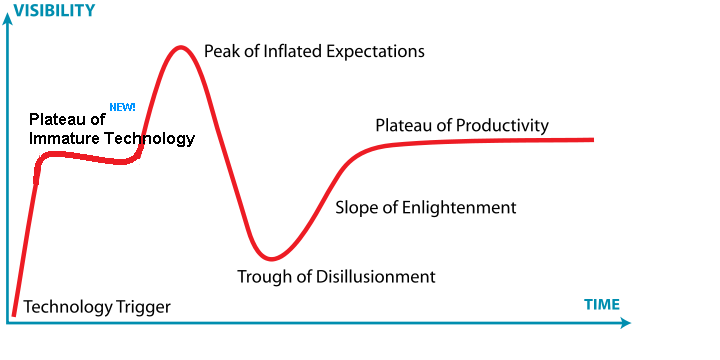 Augmentology has a philosophical piece (or that's how I take it) on why augmented reality is a misnomer, and we should use the term "Aura Recognition"
Will HP's slate be a killer AR device? Total Immersion has this very nerdy cool augmented version of Luke Skywalker and Darth Vader. Hopefully I'm going to see a live demo of Project Natal this week, wish me luck! It's called Augmented Driving and it's by a company named imaGinyze. You probably ask yourself how can it work with the iPhone having no support for video analysis. The solution imaGinyze came up with was taking six to twelve pictures a second. Unfortunately, it has many restrictions (see their Q&A section), and it's not even on the appstore. Nevertheless, it's very cool, and if they could figure out how to use an iPhone to help me with parallel parking, I'll be their first customer. More details at Thomas who broke the news yesterday. Big Screen Augmented Reality from The Sancho Plan on Vimeo. This week featured a couple of augmented Easter eggs hunts, but only one, as far as I can tell, April fools prank - Kooaba sold for $50 million on eBay. Last year pranks were a bit more exciting. 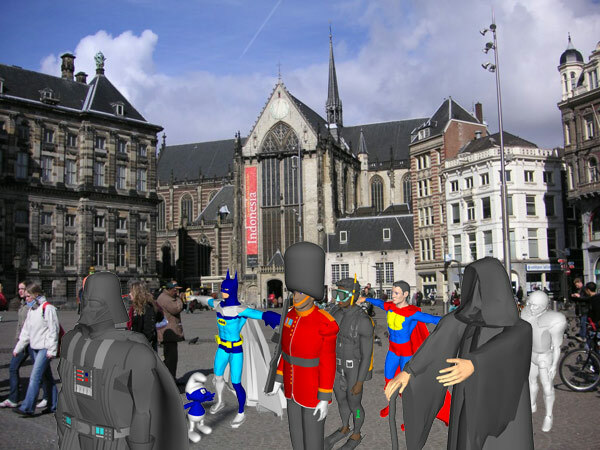 Layar launched on April 1st, an AR version of the game Splinter Cell, played on the streets of Amsterdam. ARWave at O'Reilly's Where 2.0 conference. HIT Lab NZ released a new version of their AR platform for Android. On the one hand, there's an app to get Londoners read more books (via DMFO). On the other hand, there's an app that helps you locate the nearest Pizza Hut parlor. This weeks video shows the work coming from the University of Ulster. At first, those may look like very simple games - and they are, for a very good reason. Intended to aid in upper-limb stroke rehabilitation, these let patients practice some of the finer movements such as reach, grasp, manipulation and release of objects. You can read more about it here.